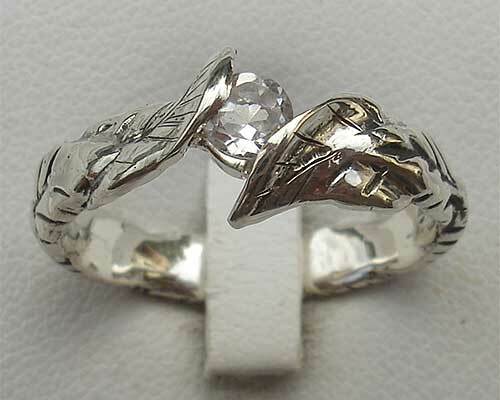 Magical Silver Engagement Ring : LOVE2HAVE in the UK! 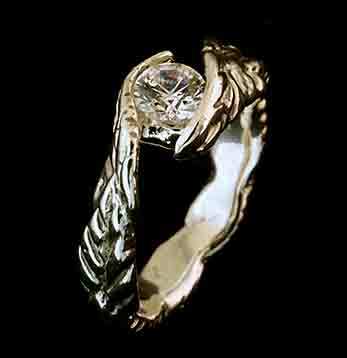 A magical silver engagement ring inspired by dark and ancient enchanted forests. 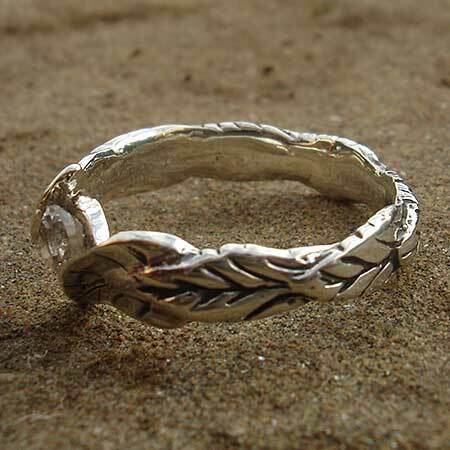 This fantasy inspired engagement ring comes modelled on overlapping leaves and possesses a very organic quality to its overall appearance and design style. The central stone is a 4.5mm round white topaz held in place by a silver cup underneath; the leaves look as though they wrap the topaz firmly in place, therefore, signifying strength in nature as well as beauty. Finally, the polished finish accentuates the undulating surface. This unusual ring measures about 6mm in width when viewed directly from above. Precious stone(s) Available: 1 x 4.5mm white topaz. 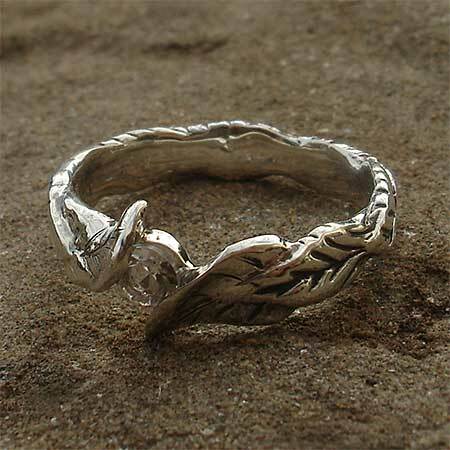 Returns Policy: This UK made silver engagement ring is made to order so, therefore, non-returnable unless faulty or not as described. Please see our terms and conditions.